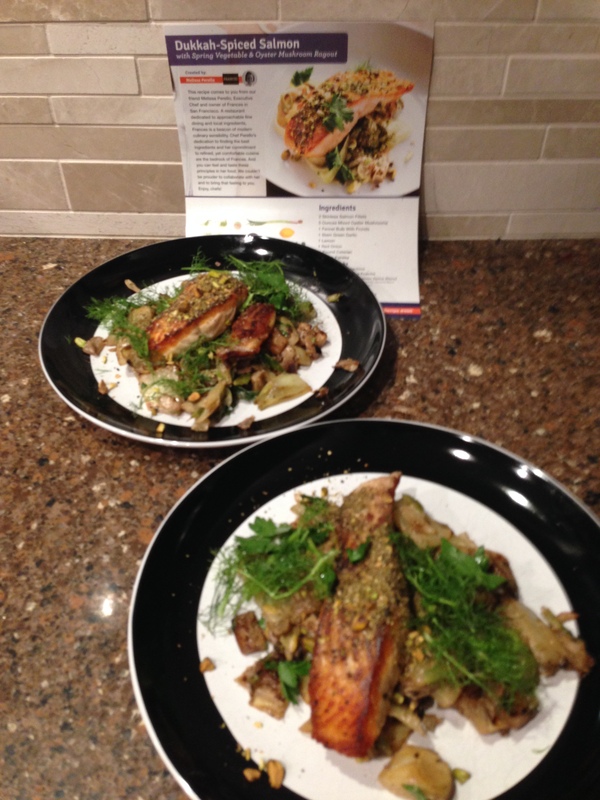 The Rich-o-Meter rates this a strong 4.5 (out of 5), tied with last week’s Almond-Crusted Cod for things he’d like me to try again (from scratch !?!). 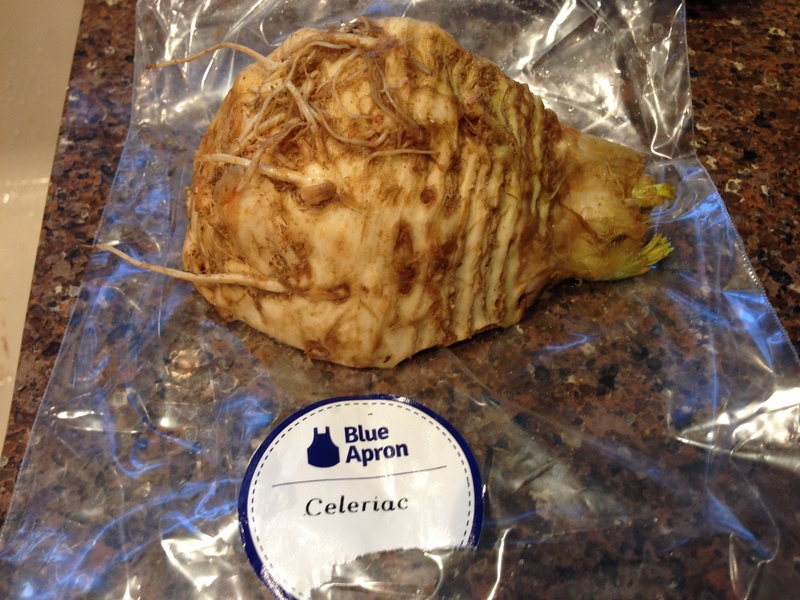 Tonight I faced the scariest ingredient to date: Celeriac. This thing has everything going against it: I’ve never heard of it, its name sounds like a disease requiring a gluten-free diet, it’s really, really ugly, and I had no idea what tools I should use to prep it. I googled it and overcame my fear when I learned that it’s nothing more than a fancy, unfortunately-named, root-based relative of celery. I confirmed its heritage with a quick sniff check, peeled it like a potato, whacked off the nasty root end, chopped the rest into bite-sized chunks, and now I can embrace it the same way I have the radishes. 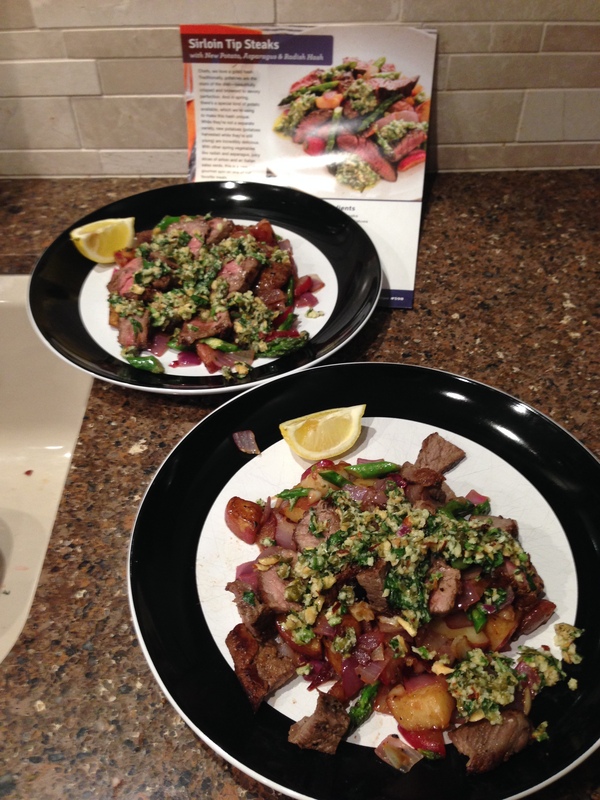 That said, tonight’s meal was by far the highest-effort and most adventurous meal so far. It got mixed reviews on the Rich-o-Meter (overall rating of 3): Plus points because he liked it in spite of the salmon (which isn’t one of our favorites), and Minus points for too much fennel (note to self: it’s OK to adjust and toss the extra if the fennel bulb in this box is significantly larger than the one you learned on in the last box). Oh, and I still need practice with the zester, although tonight’s injury was trivial compared to the first one. Two weeks ago, I didn’t know how to cook and I didn’t care about learning. 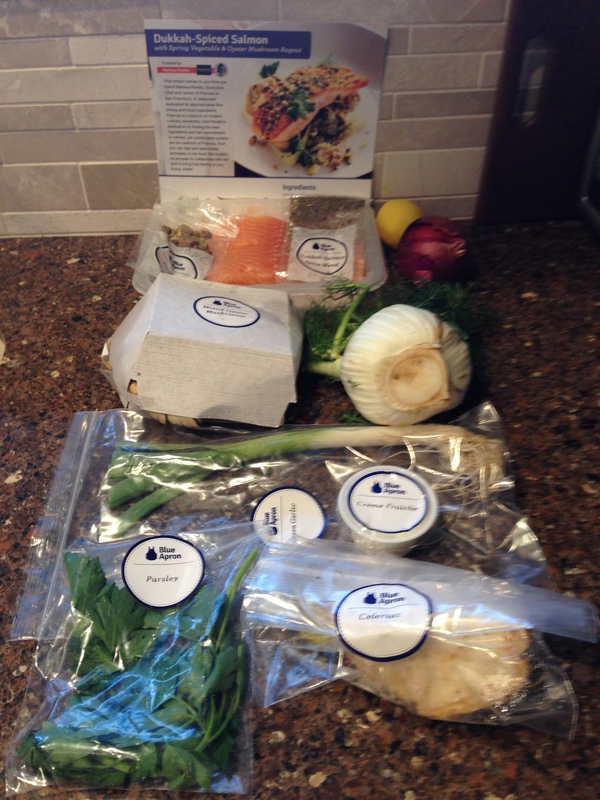 One week ago, I was rewarded by some early successes with my Blue Apron kits, but assumed my ADD-driven curiosity would quickly wane. 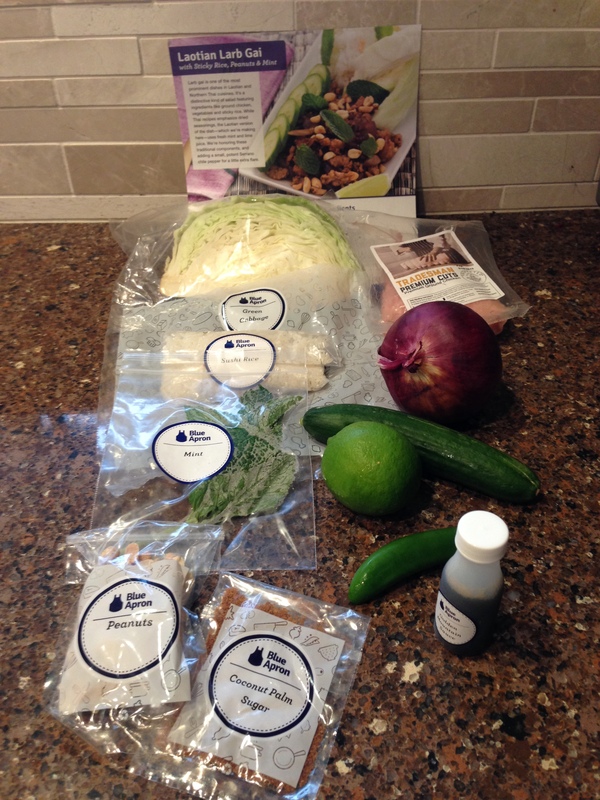 Tonight, I’m truly looking forward to my next delivery on Wednesday (it’s Mexican week!). I’ve no doubt that my serotonin-deficient brain chemistry will ultimately prevail, but my interest has already lasted a week longer than expected. I still don’t know HOW to cook, but thanks to pre-measured ingredients and excellent instructions, somehow I actually AM cooking (in spite of myself). 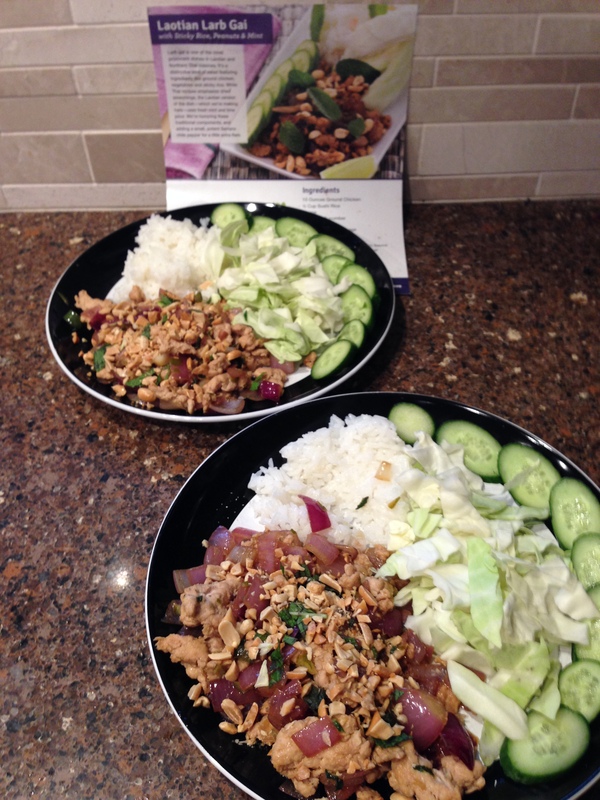 Tonight’s Laotian meal rated 4 on the Rich-o-Meter. And yes, as my friends predicted, the “how can I make it better” has kicked in: I was faced with a plateful of raw cabbage, which neither of us care for. Undaunted, I pulled out a bottle of Comfort’s Chinese Chicken Salad Dressing to salvage (well, disguise) that part of the meal – success, no cabbage went to compost! 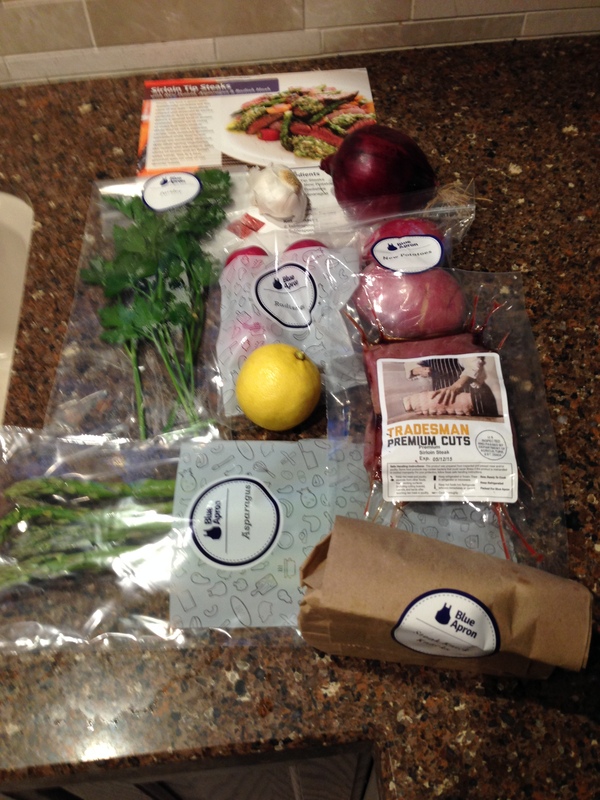 This entry was posted on Monday, May 4th, 2015 at 10:14 pm and is filed under Blue Apron - Learning to Cook. You can follow any responses to this entry through the RSS 2.0 feed. You can skip to the end and leave a response. Pinging is currently not allowed.